You have probably heard this question repeatedly from a concerned boss or skeptical client. Fortunately, there is plenty of authoritative industry-specific data on digital marketing tactics like social media, AdWords, content marketing, email marketing and more. With this list, you don’t have to hunt around for it. These 11 resources will help you determine if you are meeting, beating or behind your industry’s average. Every resource includes averages that are broken down, at the very least, into individual industries. 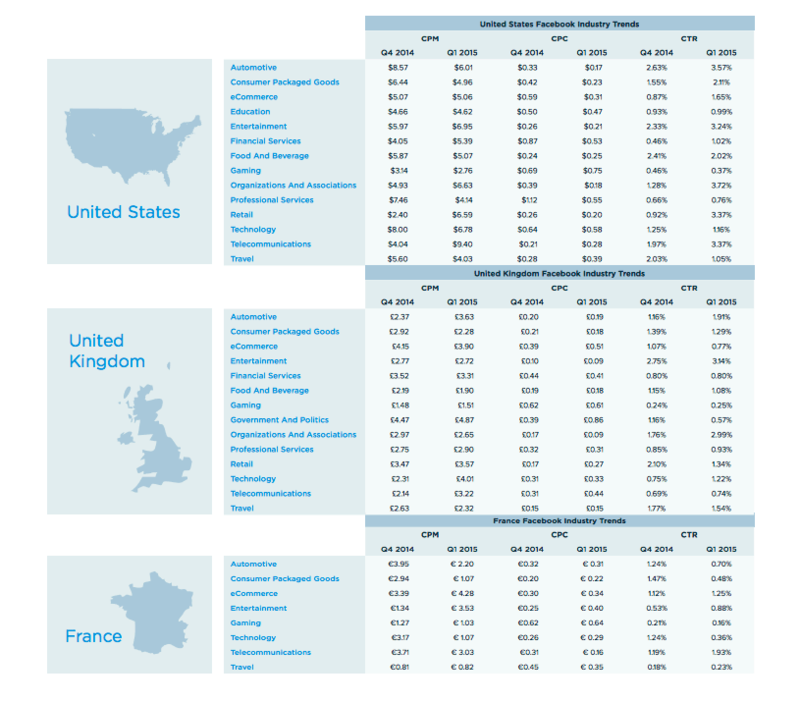 They may also compare results based on size of company, region and others. Marketing KPIs can vary widely within particular industries. Using an average is not always appropriate for judging the success of your marketing initiative. 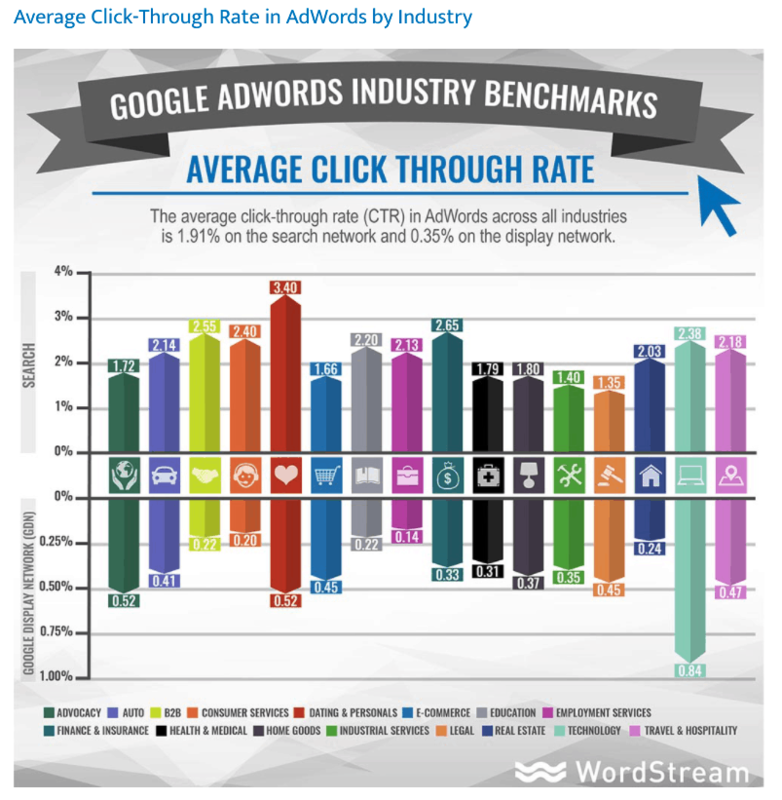 This post intentionally includes only metrics that are better suited for direct comparison. For example, landing pages allow for straightforward comparison because there is usually one goal: clicking a button or filling out a form. Comparing blog performance would be more challenging because multiple factors determine whether a blog will be successful. 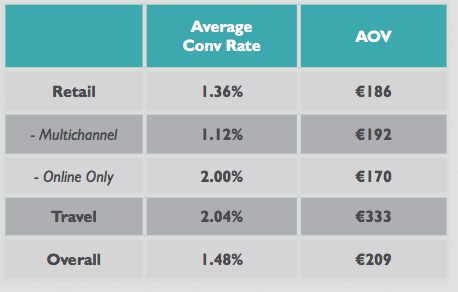 How You Might Use It: See the exact percentile of your landing page’s conversion rate. Determine the tone of copy that your industry prefers. How You Might Use It: Determine if you need to improve copy on your ads. 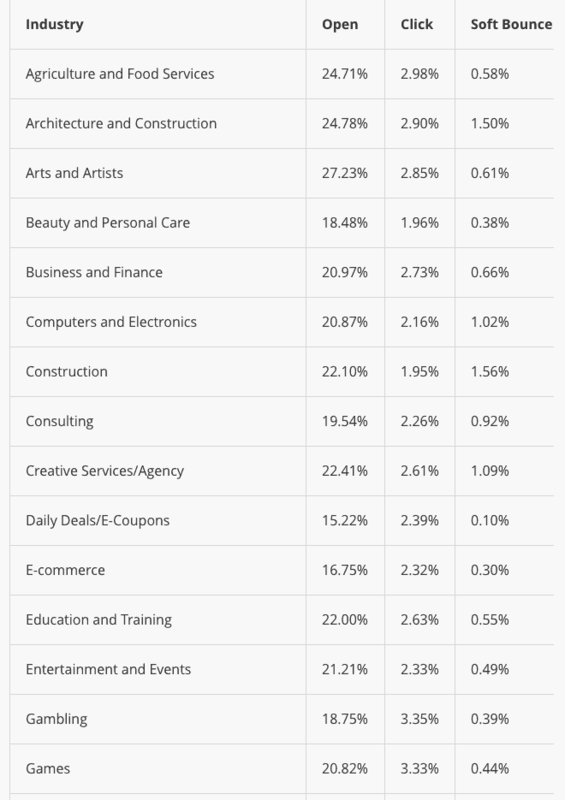 Confirm that ad spend is normal for your industry. How You Might Use It: Determine if your industry or your client’s industry traditionally engages with brands over email. Set expectations for sales derived from email clicks. How You Might Use It: Review whether your ads performed during holiday season. 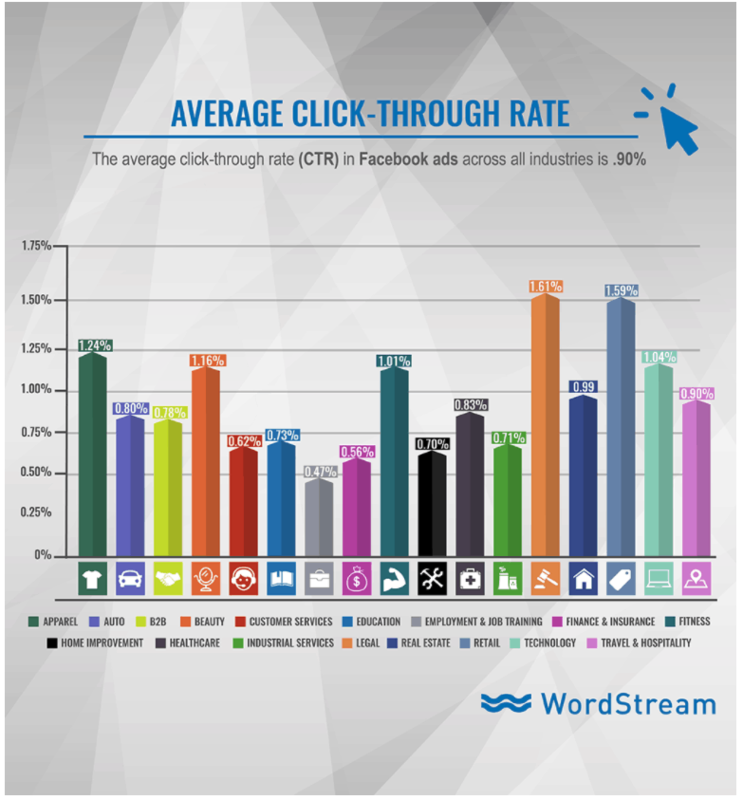 See if social users react to ads in your industry. How You Might Use It: Review ad performance during holiday season 2016. 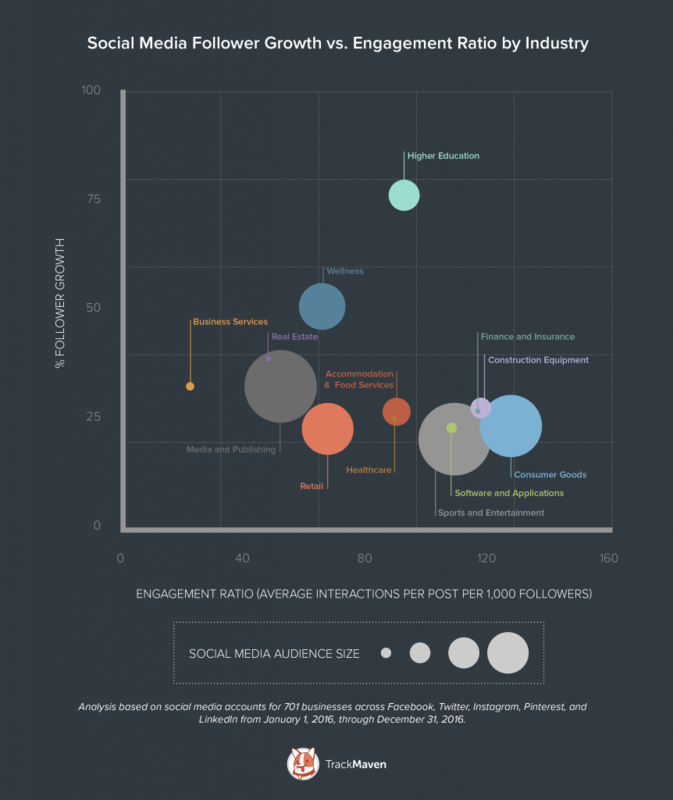 How You Might Use It: Estimate how activity on social should translate to follower engagement. Decide if your brand should invest in social. How You Might Use It: Determine if you should create an ad in a particular industry. Decide if you should use a display ad or a Rich Media ad. 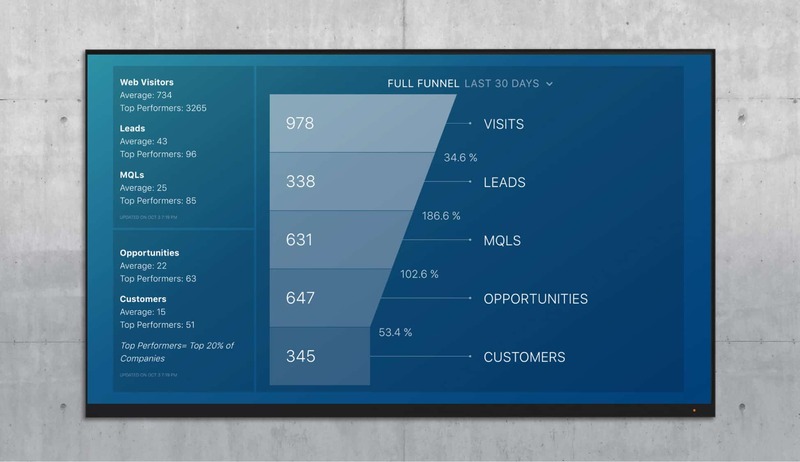 How You Might Use It: Compare your funnel to companies that exceed revenue goals versus miss revenue goals. 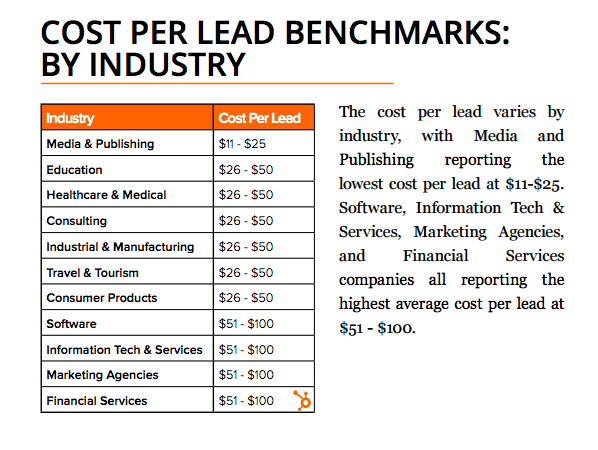 Calculate an appropriate cost per lead for your marketing and sales team. Want to track this data in real-time? Now you can instantly compare your inbound marketing results to other companies with similar annual revenue. Here is an example for companies with less than $250k of annual revenue. 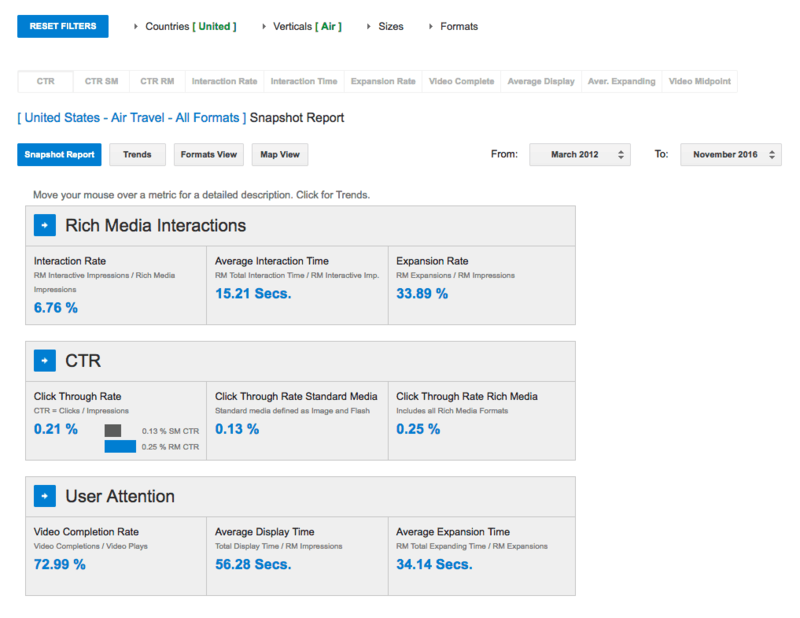 How You Might Use It: See where you should focus efforts on improving funnel. 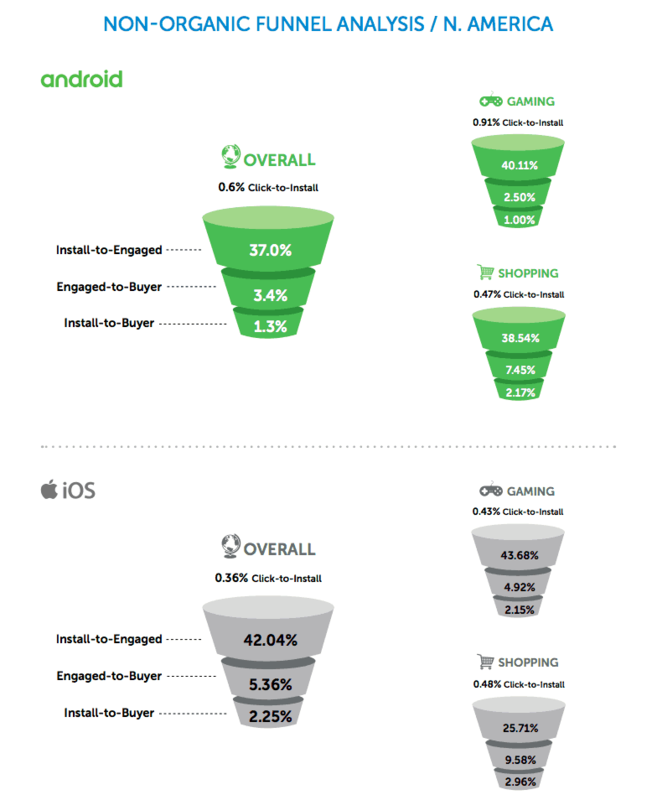 Determine if you should focus on user acquisition or retention. How You Might Use It: See if your e-Commerce funnel needs improvement. 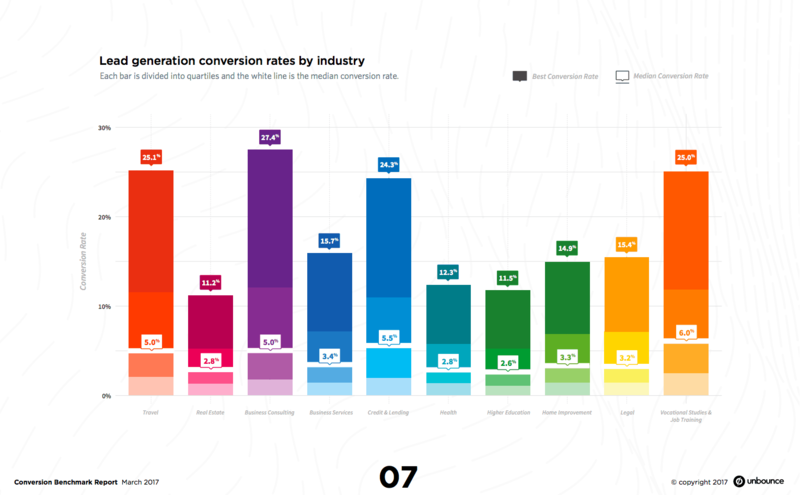 Decide if you need to boost advertising exposure for more conversion assists. When you measure marketing results in fractions of a percentage, they can quickly feel unimpressive to a client. After all, any normal person will struggle to get excited about a 2% clickthrough rate versus a 3% clickthrough rate, even though 3% is 50% greater! 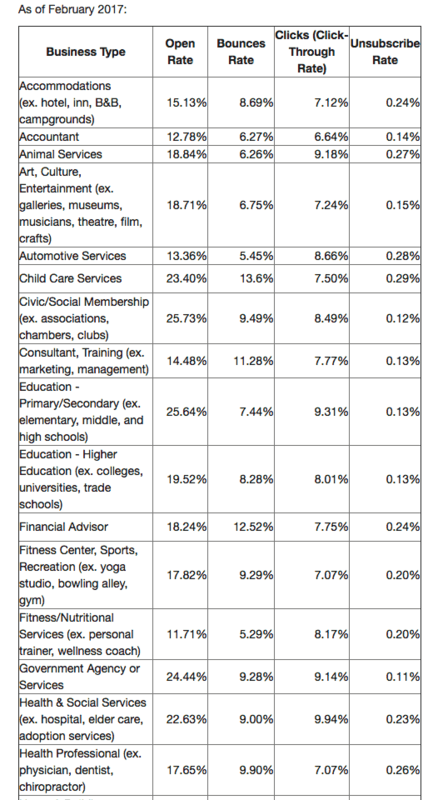 When you communicate with your boss or client, use industry benchmarks to set goals up front. Then, when you review your performance, you can (hopefully) tell a clear story about the ways that your results exceed the industry average. Have any other benchmarking resources that you think we should add? Let us know in the comments!